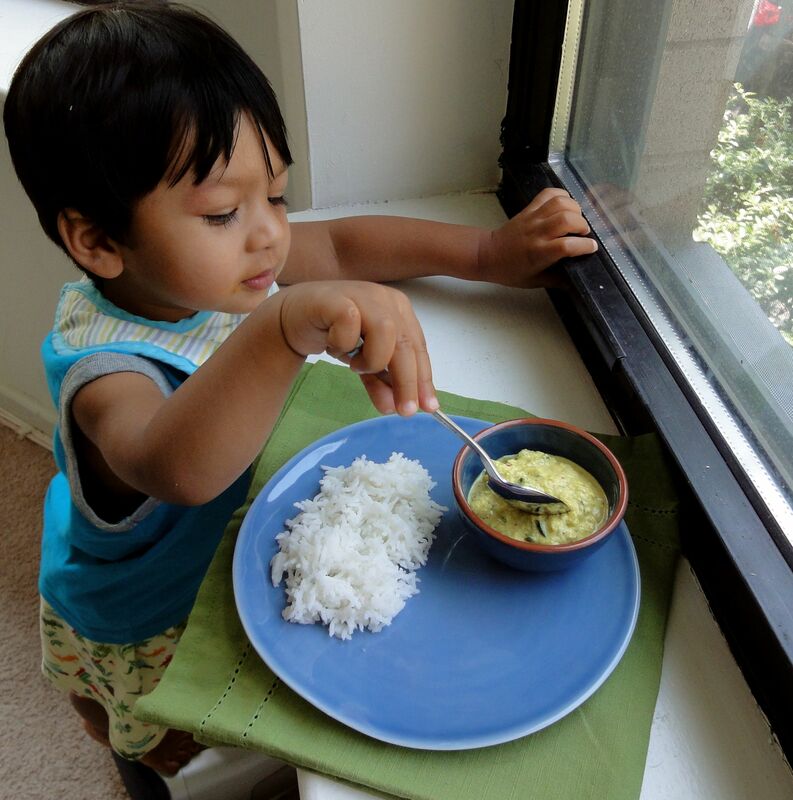 We had hot steaming rice for lunch today with a most unexpected side – a cooling cucumber relish made with a paste of black mustard seeds and white sesame seeds. Not much else was needed for a satisfying meal. I was surprised by how good the relish tasted rubbed into the rice – it was mustardy, spicy from green chillies with a hint of sour from tamarind. Finely chopped cucumbers and the ground sesame gave it an interesting texture – creamy and nutty, but studded with bites of pale green. 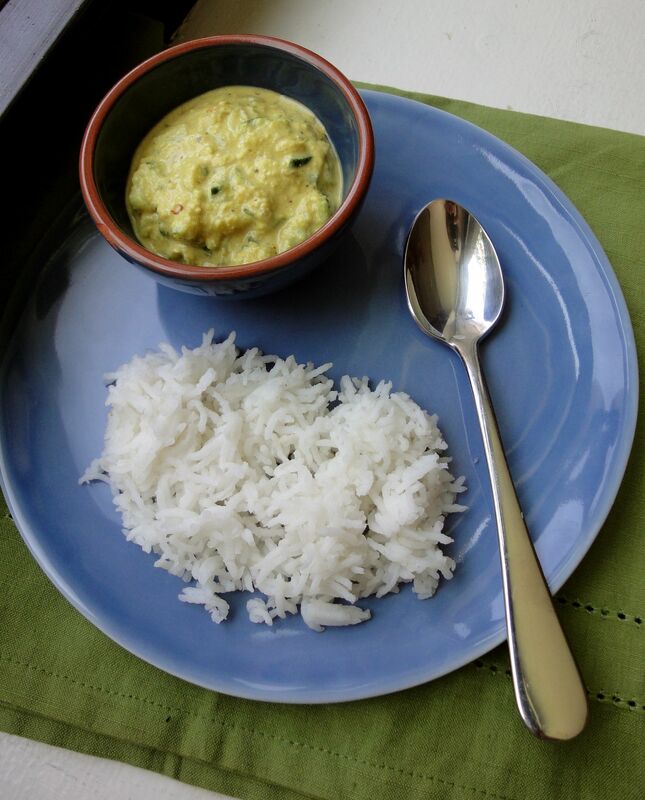 A sort of refreshing South Indian summer pesto best enjoyed with warm rice. 1. Soak the mustard seeds and sesame seeds in water for a half hour. Discard the water. Place all the other paste ingredients in a blender and grind to a fine paste with minimal water. 2. In a bowl, stir the cucumbers into the paste. Heat some oil in a small pan and add the tarka ingredients. Allow the cumin and mustard seeds to sputter, and then pour over the cucumber relish. Serve at room temperature with warm fragrant rice.